We feature top quality microscope systems with proven performance and quality. We know our products because we have dismantled most models to evaluate their durability in high use applications. 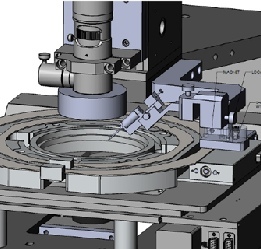 We also manufacture custom inspection systems featuring microscope and macroscope optics with high resolution motorized X/Y stages up to 12”x12” manual control and software control. Our custom systems are built in California using the finest quality components chosen for their proven designs and high reliability.